When the game season is on its way (October 1 – February 1 for England, Wales and Scotland), sometimes it can be difficult to know how to cook your game successfully. 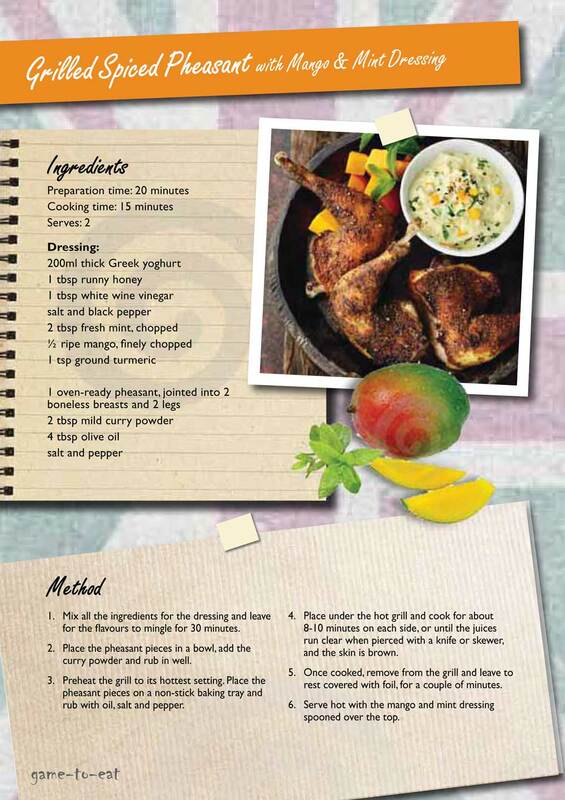 Below are suggested Pheasant recipes that you may find useful and tasteful! Pheasant shooting has been popular for a number of years, with famous people such as Pippa Middleton and Marco Pierre White seen enjoying the country sport. There are many benefits of eating game. Below are the key benefits of eating pheasant as apposed to chicken. Pheasant has been described by many as a slightly tougher than traditional meats but tastes very similar to chicken. But buying from the local butcher rather than the supermarket will result in a better tasting meat. Once you have tried pheasant, why not try other game such as partridge, hare, quail, venison or pigeon – all with great health benefits! 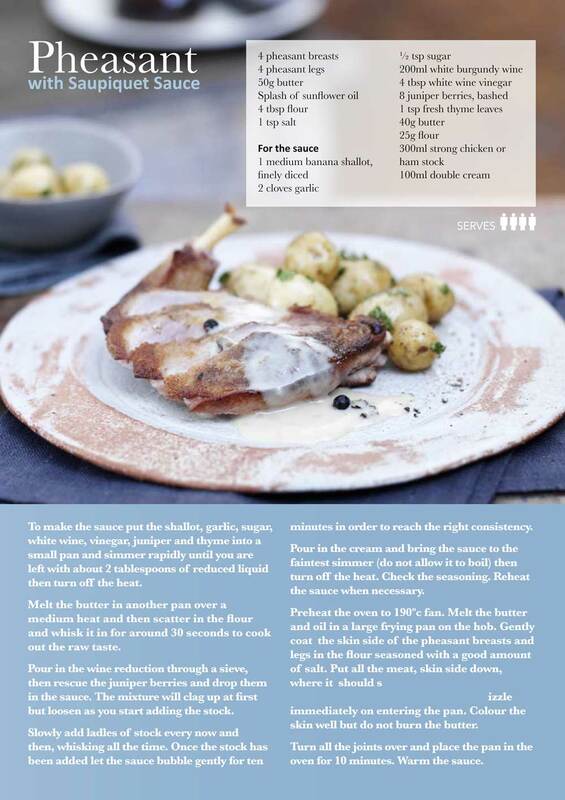 The above pheasant recipes have been taken from the gametoeat.co.uk site.